This sacred circle logo represents truth...... only truth remains. 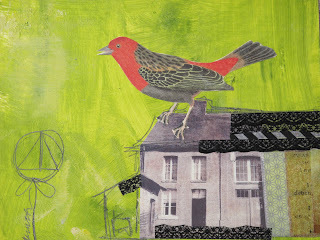 This and other birds in the series are now listed in The Zendoll Workshop. We are finally open for business. And finally a string of warm sunny days awaits us all. namaste.